Is Muscle Soreness a Sign of an Effective Workout or Growth? You might find shouting these slogans at your training partner fun, but is there any truth behind them? A bit of post exercise pain can feel satisfying, but are sore muscles a good sign that your workout was effective. There are two kinds of muscle soreness. 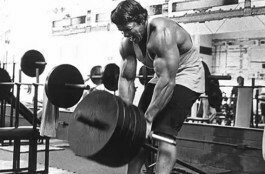 The first occurs while you’re lifting. You know when you’ve pushed through a hard set, and the muscles are burning and painful? Well, that usually peaks at “muscle failure,” and despite the frightening name, it’s only a temporary condition that subsides very quickly after finishing a set. It is most commonly believed that the cause is oxygen starvation and a buildup of substances and metabolic waste in the muscle cells which prevent further muscle contraction. Other research suggests that as muscles become fatigued, the calcium which flows and ebbs in the cells and controls contractions begins to leak from tiny channels, resulting in muscle weakness. The calcium leakage also triggers the release of an enzyme which actually breaks down muscle fiber, resulting in “failure”. Longer-lasting muscle soreness that occurs after exercising is called “DOMS”, or Delayed Onset Muscle Soreness. As the name implies, its onset is delayed, usually by 24 to 72 hours and takes longer to subside than short-term muscle failure. The pain from DOMS can last anywhere from a couple of days to a whole week. DOMS is most common with beginners or people who have had a lot of time off form training. When beginners experience DOMS they take the pain as a sign of an effective workout and an indicator that they’ve done enough work to make their muscles grow. As weeks of their training pass their DOMS becomes less and less after each workout. 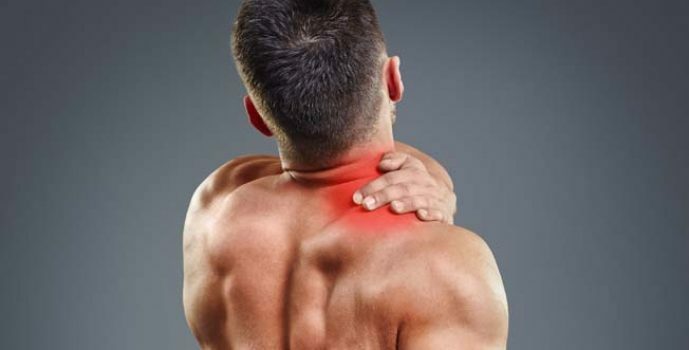 When the DOMS completely subsides they think that their workout has become ineffective and look for new ways of training to produce muscle soreness. But DOMS is not an indicator of muscle growth, it’s simply a reaction to a training stimulus that the body is not accustomed to. 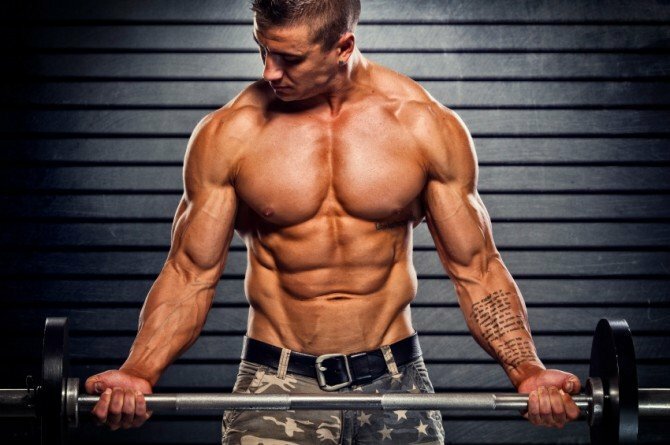 You can have a very intense, high volume workout without any pain the next day and this workout will trigger muscle growth. 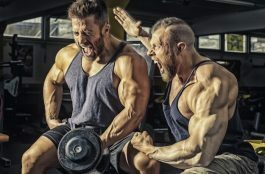 Resistance weight training stimulates muscle protein synthesis which results in muscle hypertrophy, but there is no pain associated with muscle protein synthesis or hypertrophy. This type of delayed soreness, depending on its severity and duration, has the unfortunate effect of hindering performance until it subsides to a tolerable level. There does not appear to be total consensus about the mechanisms behind delayed onset muscle soreness, but theories include micro-tears in the muscles, metabolic waste, muscle inflammation, edema and creatine kinase, a substance which, when present in high levels, is associated with muscle damage and inflammation. As I’ve already mentioned, DOMS is triggered especially by training routines to which one is unaccustomed. It’s easy to assume that soreness indicates a good workout. After all, if you’re training hard with high intensity, surely muscles will grow – right? And if micro-tears are a likely cause of delayed onset muscle soreness, then surely DOMS is a good thing, yes? Well, it’s not that simple. Though some degree of fatigue and post training soreness may well be accompanied by gains over the long-term, one should never view pain as requisite for muscular development. A much better gauge by which to determine if your workouts are effective is to take note of a slow but steady increase in your lean mass and your capacity to lift progressively heavier weights. Remember, weight training promotes muscle protein synthesis, but the synthesizing of new muscle proteins is not a painful process. NOTE: Any pain felt around in the inside or outside of elbow, shoulder or knee joints could be a sign of a tendon injury. Seek professional medical advice if you experience persistent pain around these areas.